Don’t let the Porsche Lexington dealership closing keep you from your dream of owning a new Porsche. Blue Grass MOTORSPORT is happy to bring our Porsche vehicles to Lexington residents. Sit in the comfort of your own home and browse our inventory of new and used Porsche vehicles online. Once you find one you like, feel free to contact us to set up a test drive. We’ll have the vehicle clean, full of gas, and ready for you to drive once you get here — saving you time and hassle after the drive from Lexington. 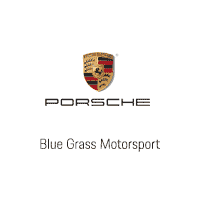 As the only Porsche dealership in the state, Blue Grass MOTORSPORT is conveniently located to serve Kentucky residents. From financing to shipping, our goal is to make your purchasing experience as quick and straightforward as possible. Flatbed or covered flatbed pick-up and delivery is available to make it more convenient than ever when servicing your vehicle. In order to ensure your vehicle remains in showroom condition upon arrival, every Porsche we deliver is transported in an enclosed trailer. Now that you’ve made owning your dream car a reality — we’re here to make servicing it easier than ever before! A great aspect of owning a Porsche is that it only requires on maintenance visit per year in order to keep operating at peak performance. We’re happy to send a loaner vehicle to your home or office, pick-up your vehicle, and drive it back to our service facility to complete your annual service*. Once we’re finished, we’ll promptly return it back to your doorstep — ready for you to enjoy another year of worry-free driving. If you’re trying to avoid putting the additional mileage on your vehicle, we also offer covered flatbed services available*. Regardless of which method you choose, you can rest easy from knowing your vehicle is receiving the BEST care. In fact, Blue Grass MOTORSPORT has a total of four Golf Meister Certified Technicians on our staff. Instead of dropping your dream car off at some German import garage — trust Blue Grass MOTORSPORT’s pick-up and delivery service for a seamless Porsche servicing experience. Contact us to set up your next service at 502-547-2552. Our commitment to customer care at Blue Grass MOTORSPORT has resulted in many loyal clients located across the U.S. When purchasing a vehicle from us, we want to provide you with peace of mind that it will receive the utmost care and attention during the delivery process. Our responsive, unique, and personalized purchasing experience is not restricted by geography. Free Shipping Nationwide – Free shipping is provided with the purchase of any new or pre-owned vehicle. Enclosed Trailer Delivery – To ensure its showroom condition is maintained, your Porsche will be delivered in an enclosed trailer. Fast, Easy Transactions – You can rest easy from knowing that your purchase experience will be fast and straightforward as possible, from shipping to financing. One Contact – Your vehicle purchasing, shipping, and delivery will be handled by your salesperson. One contact, from start to finish. Owner’s Resources – Our knowledgeable sales professionals will take the time to ensure you have everything you need to operate your Porsche. They’re just a phone call away should you have any questions. 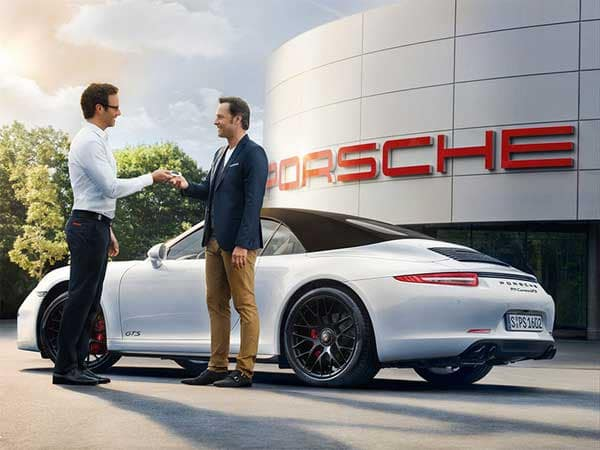 Service & Maintenance – We’ll provide assistance to help you find the nearest authorized Porsche service center to help keep your vehicle in top condition.